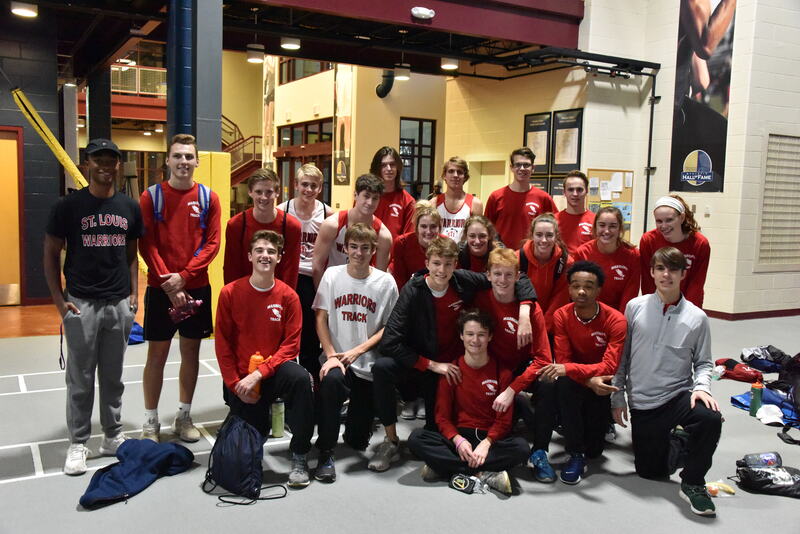 The Warriors opened their 2018-19 season with an solid performance in a duel meet with the St. Louis Express at Principia College. 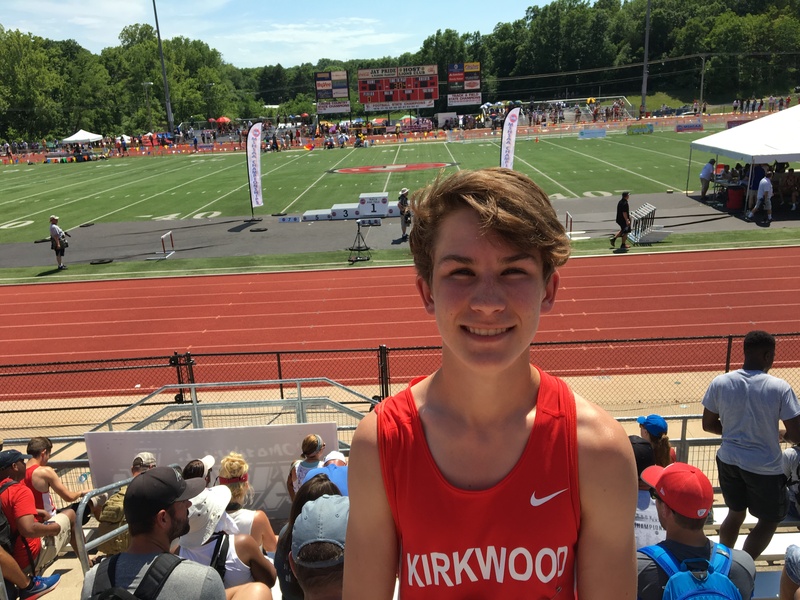 Martin Strong,(Kirkwood) the defending Missouri 5A 800 meter champion, had an outstanding day winning the 400 meters in a time 52.44 and finishing third in the 1600 with a time of 4:49.07. Newcomers Mason Walters (Marquette) and Chloe Hershenow (Parkway West) each won the men’s and women’s 1600 and 800 meters respectively.Other Warrior winners were Alex Meyer (Holt) in the 60 meter Hurdles, Erik Wyatt (Holt) in the Triple Jump. Several non-winners had outstanding performances including: Victoria Penney (Marquette) who finished 2nd to Hershenow in both the womens’ 1600 and 800, Zane Yates (Parkway West) who finished 2nd in the 1600, Ethan Koop (Marquette) second in the 800, Maggie Doering (Pacific) who hit a PR in the Triple Jump and a near PR in the High Jump, Stone Burke (Marquette) who recorded a near PR in the 1600 and then recorded a new PR in the 400. Additional PRs were recorded by Luke Schultz (Lindbergh) in the 1600 and Aiden Kurtz (Webster Groves) in the 60. The Warriors will be back at Principia on Saturday, January 5th for their annual inter squad meet. 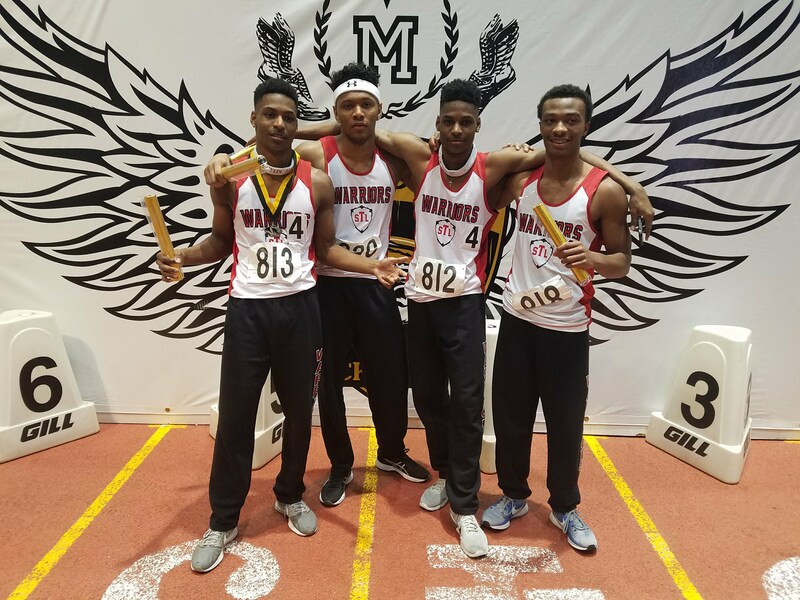 The new Warriors 4 x 400 record holders: James Allen, Antonio Norman, Jerald Allen and Jaden Jackson. 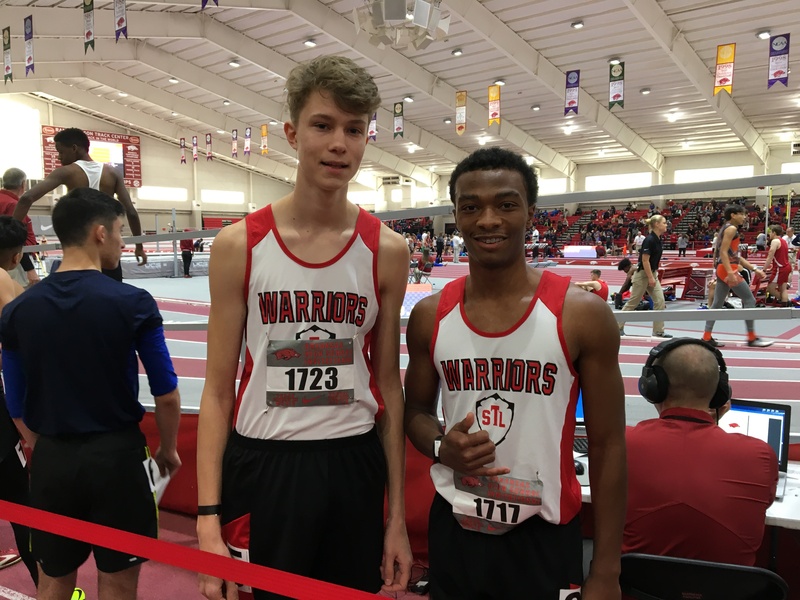 Warrior athletes competing for their respective schools turned in some outstanding performances in the Missouri and Illinois State Track Meets held in late May. 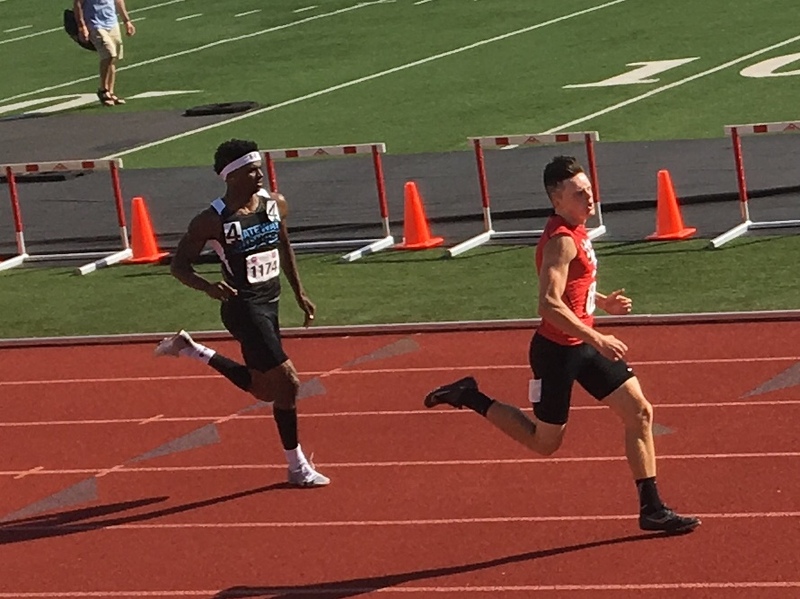 Claiming individual titles were Antonio Norman (Cleveland ROTC) who won both the 300 meter hurdles and the 110 HH at the Missouri 2 A State meet and Martin Strong (Kirkwood) who won the 5 A 800 meters. Antonio ran the 6th fastest time in the U.S. in the 300 hurdles and Strong ran one of the fastest 800 times in the U.S. for sophomores. Jerald Allen (Gateway) finished 2nd in the 4 A 400 and 4th in the 800; brother James did the same double in class 2 A and finished 2nd in the 400 and 3rd, in the 800. The Allen brothers’ performances were exceptional because only 35-45 minutes separate the 400 and the 800 at the meet. 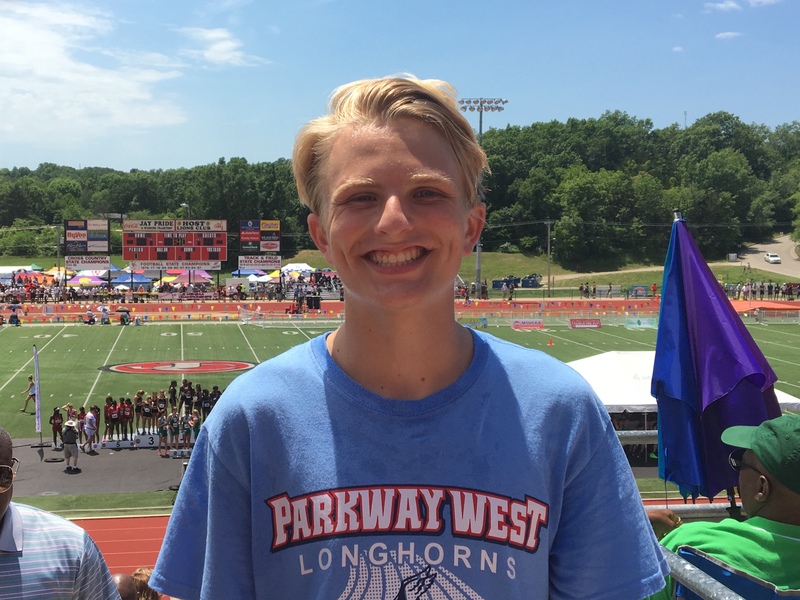 Blake Selm (Parkway West) finished 5th in the 4 A 3200 with the terrific time of 9:22. 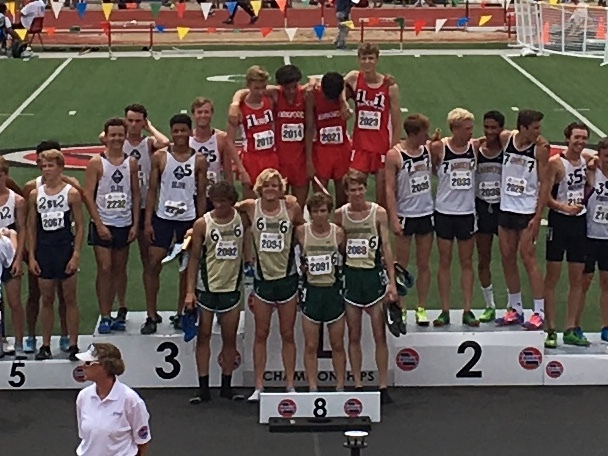 The the relay side, Evan Adrian, Caleb Owens and Martin Strong ran three of the four legs on Kirkwood’s winning 4 x 800 team with Strong running a 1:53 anchor to close the deal for Kirkwood. 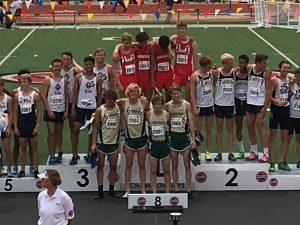 Logan Kitchen and Katherine Ledbetter each ran strong legs on the Orchard Farm 4 x 400 team that finished 5th in 3 A. Cerow Aligab ran a leg on Parkway West’s 4 x 800 team that finished 4th in 4 A. Trent Tarantino ran a strong anchor for a Westminster Christian team that finished 9th in the 4 A 4 x 800. 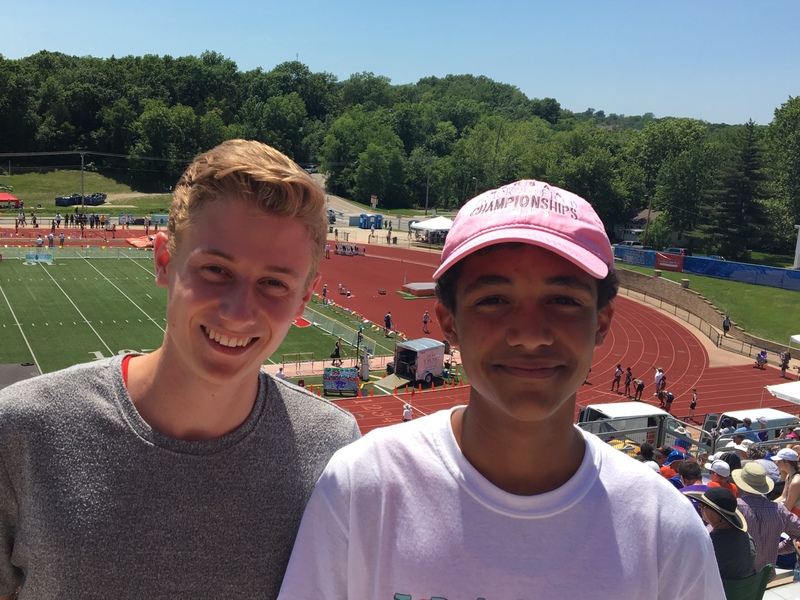 On the Illinois side of the river, Javon Watkins (Madison) ran PRs in both the 3200 and the 1600 to finish 4th and 6th respectively in those two races at the Illinois 1 A meet..Teammates Janiya Collins and Eric Griffin qualified but did not place in the 100 and 200. Eight Warriors will continue their track and field careers in college: Ellie Margulis – DePauw; Blake Selm – Purdue; Cerow Aligab – Missouri S & T; Antonio Norman, James and Gerald Allen – Lindenwood; Jaden Jackson – Mesa J.C. and Javon Watkins – HIghland (Kansas) J.C.
Javon Watkins runs at Arkansas. 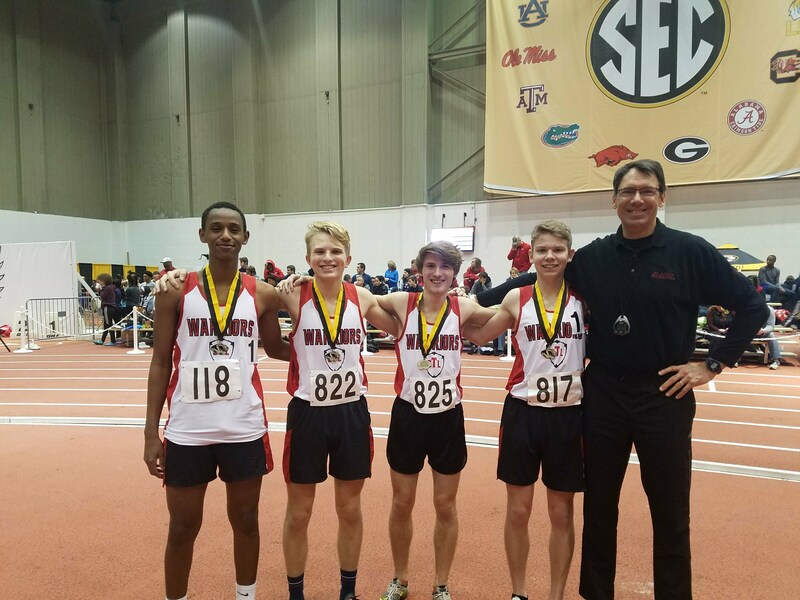 Eight Warrior seniors along with Coach Dave Redden, traveled to Nashville, Tenn. on February 3rd to compete in the one of the most elite level indoor meets in the U.S. The top individual performer was Antonio Norman who finished 3rd in the high jump with a 6’4.75″ jump. 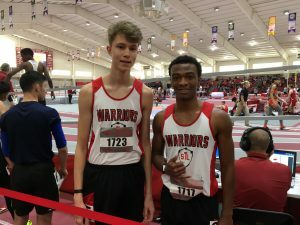 James and Jerald Allen performed well in a wild 800 meter race that saw 3 of the top 5 performances in the country. James finished 6th with a 1:56.5 effort and brother Jerald was not far behind in 1:56.9 for 8th place. 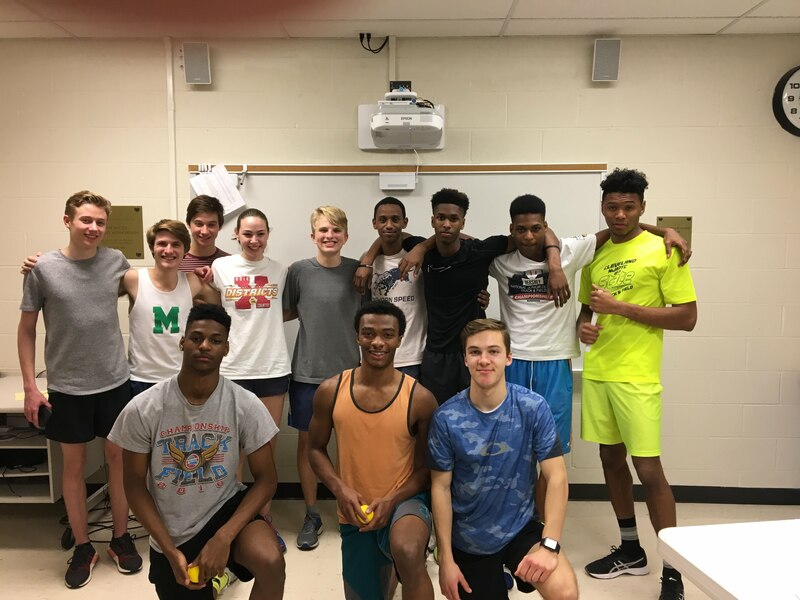 Other outstanding performances were turned in by Evan Adrian, Cerow Aligab and Nick Warmann in the 1600, and Javon Watkins in the 3200. 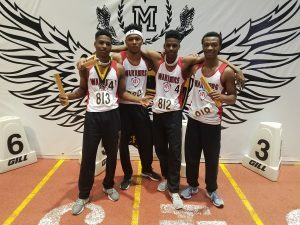 The most dramatic race of the day was the 4 x 400 where the team of James ans Jerald Allen, Antonio Norman, and Jaden Jackson put down a 3:22.97 good for 3rd place medals and a Warriors’ record. On February 4th, the day after the Vanderbilt meet, the rest of the Warriors’ squad traveled to Columbia, Missouri for the second of three meets that are part of the Mizzou Championship series. 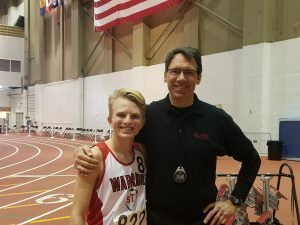 The Warriors were led by Blake Selm who won the 3200 in a new Warrior record time of 9:50, a time that he exceed two weeks later when he ran a 9:48 at the Mizzou Championship meet. 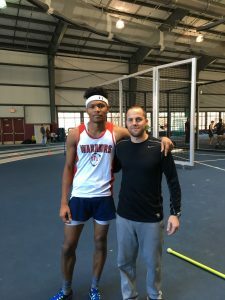 Other outstanding individual performances were turned in by JaniyaCollins who went 5’1″ in the high jump for 3rd place, and Trent Tarantino and Martin Strong in the 800. 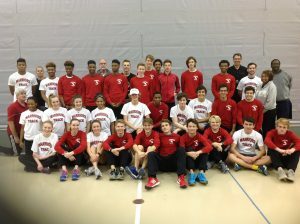 On Saturday, February 17th, 26 Warriors traveled to Columbia for the Mizzou Championship Meet. The meet started out well for the Warriors with Warrior seniors Blake Selm, Cerow Aligab, Ryan Hoefferle, and Nick Warmann finished third. Antonio Norman and Janiya Collins both finished 3rd in the men’s and women’s high jump, respectively. James Allen finished third in a very fast 800 race. Finally, the team of Martin Strong, Antonio Norman, James and Jerald Allen won the 4 x 400 in 3:25.87 to set a new Mizzou Championship record. 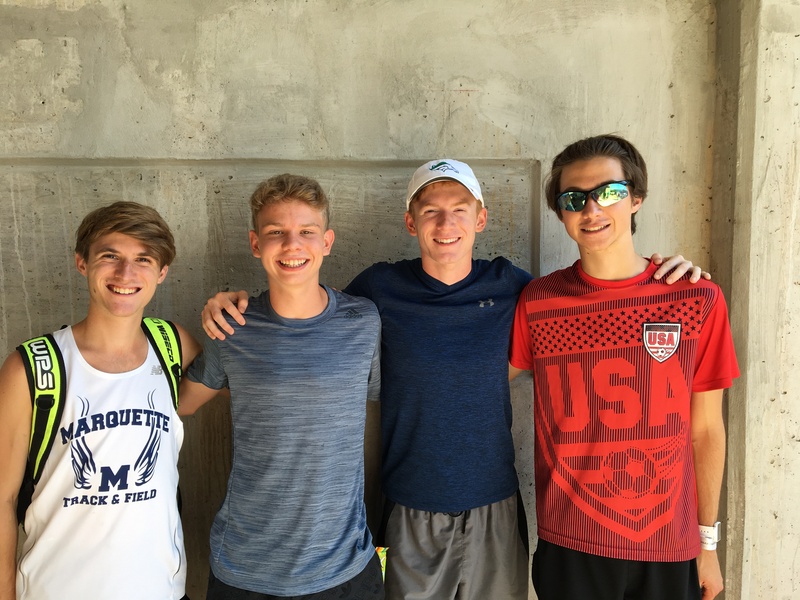 The meet concluded the Warriors’ careers of 10 athletes including four-year athletes: Evan Adrian, Jack and Nick Warmann. Other seniors included James and Jerald Allen, Cerow Aligab, Jadan Jackson, Antonio Norman, Ryan Hoefferle, Blake Selm, Trent Tarantino and Ellie Margulis. All Warrior seniors were honored at the final practice of the year on Tuesday, February 13th at MICDS. Special recognition was given to seniors Jack Warmann and Ellie Margulis. Despite being injured the entire year, Jack attended almost every practice and most of the meets to provide encouragement and support to his Warrior teammates. Ellie personally redesigned the Warriors’ uniforms AND raised over $600 to pay for them. Jack and Ellie both epitomize the qualities of unselfishness and humility that all Warriors strive for. 2017-18 will go down as one of the greatest Warriors’ seasons ever! 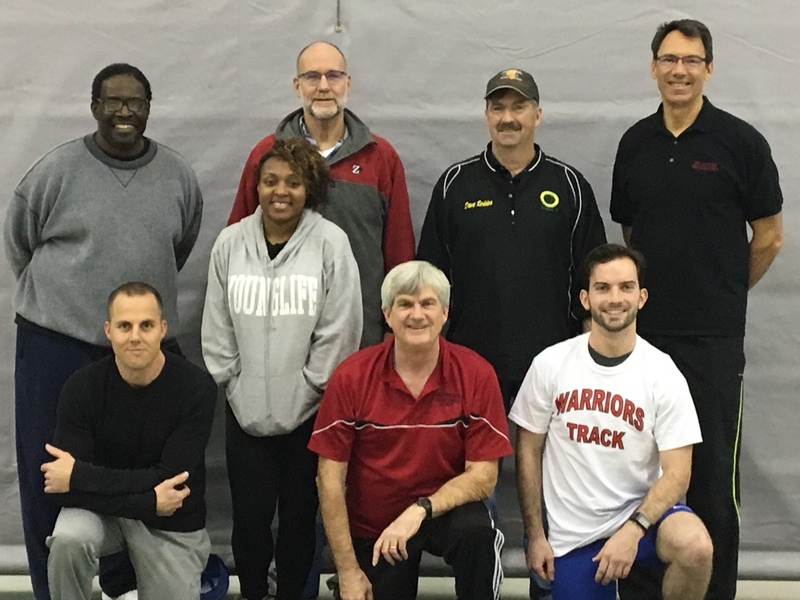 The 2018 Warriors indoor track season got off to a great start in early January with the annual inter squad meet at Principia College. The Black team, led by tri-captains Ellie Margulis, Javon Watkins and Cerow Aligab prevailed but received a strong challenge from a White team lead by Jerald Allen and Ryan Hoefferle. 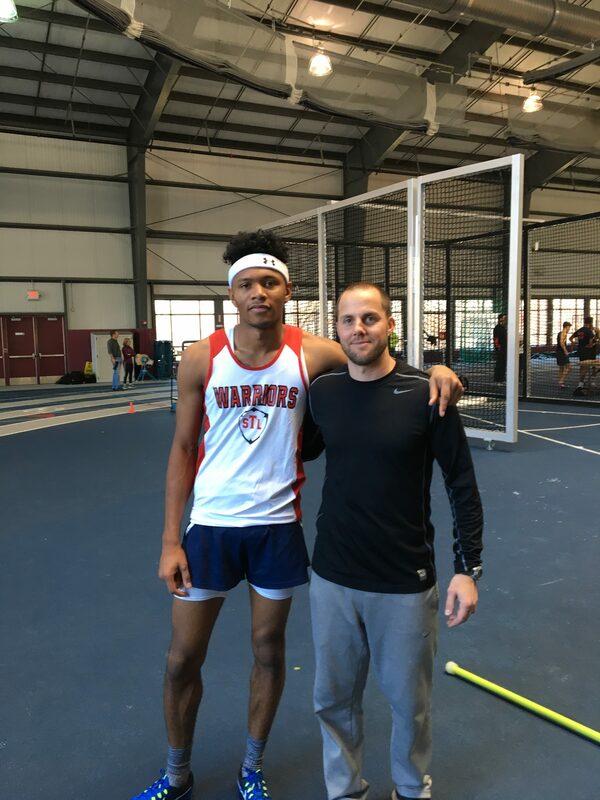 The top performance of the day was Antonio Norman (Cleveland ROTC) who shattered the High Jump record with a 6’5″ jump, surpassing the record set by Maurice Cox (Roosevelt) of 6″0.” The 2011 jump by Cox was the oldest Warrior record in the books. 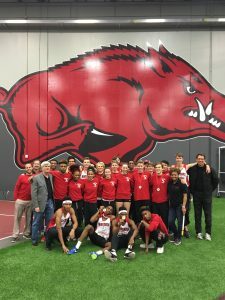 On Friday January 12, a large Warrior contingent of 26 athletes traveled to Fayetteville, Arkansas to compete in the prestigious Arkansas Invitational. An outstanding individual performance was turned in by Janiya Collins (Madison, Illinois) who broke two Warrior records, the HJ and the 200. Collins went 5’1″ in the HJ breaking the old record of 4’11” set by Stacy Lampkins in 2015. In the 200 Collin’s 26.57 mark break a 2015 record set by Alexandria Cadenhead. One other individual record fell when Blake Selm ran a 9:06 in the 3000 meters, breaking the 2011 mark of 9:08 set by Jordan Mann of MICDS. 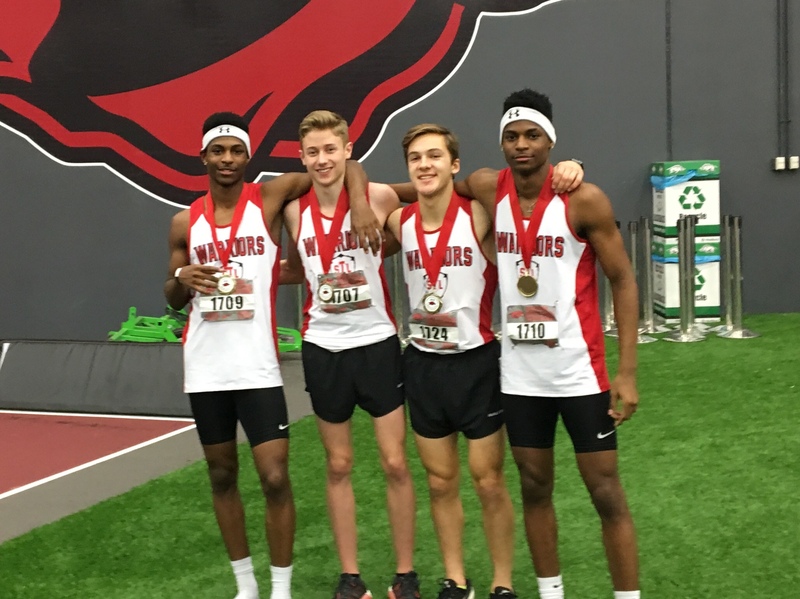 The most exciting race of the day was the record-breaking 4 x 800 race where the Warrior team of Jerald Allen (Gateway), Trent Tarantino (WCA), Evan Adrian (Kirkwood) and James Allen (Cleveland ROTC) ran an outstanding 8:05.43. 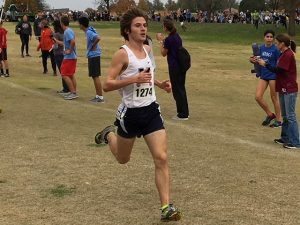 The team led the race much of the way but was passed in the last two laps by the Oklahoma State Champion, Edmund Memorial,who won in 8:04. The time was well below the previous record of 8:11 set last year at the Mizzou Championship meet. Nick Warmann (Marquette) and returning Missouri Class 2 champion in the 800 meters, James Allen. of Cleveland ROTC. Other returning Seniors include: Evan Adrian (Kirkwood); Jerald Allen (Gateway Tech); Cerow Aligab (Parkway West); Ryan Hoefferle, Jaden Jackson and Jack Warmann (Marquette); Trent Tarantino (WCA); Javon Watkins (Madison, Illinois) and Ellie Margulis (Whitfield). Jaden Jackson is the only returning Warrior record-holder with his 7.28 in the 60 meters last year at the Mizzou Championship Meet. Jerald Allen, the twin brother of James, returns after an outstanding summer season that saw him lower his 800 PR to 1:55.3 and place 6th in the USATF Nationals. 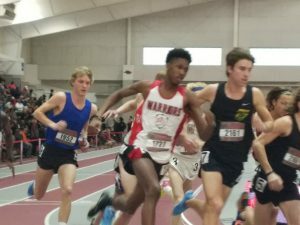 Finally, Javon Watkins will put on the Warriors’ uniform again after a successful 2017 season that concluded with a 5th place finish at the Southwest Classic in the 3200 meters. Nick Warmann – Four-time Class 4 state qualifier ran personal-best time of 16:04.55 and crossed ninth for the best state meet finish of his career. 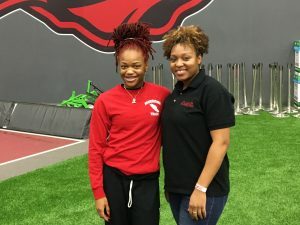 Among the 18 newcomers are four state meet qualifiers from 2017 including: Antonio Norman (Cleveland ROTC), Blake Selm (Parkway West), Martin Strong (Kirkwood) and Madison, Illinois athletes Janiya Collins and Eric Griffin, both outstanding sprinters. 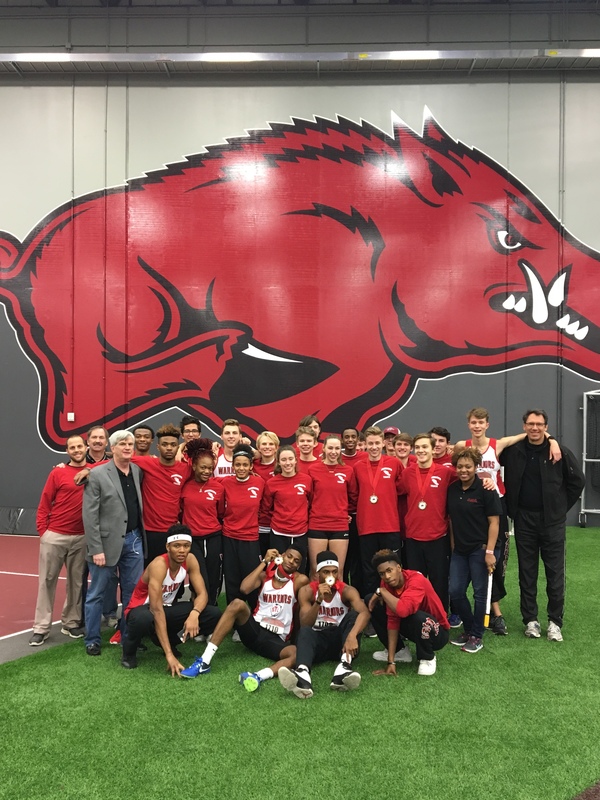 The Warriors with a practice meet on Saturday January 6th at Principia College and then will travel to Fayetteville, Arkansas the following weekend for the prestigious Arkansas Invitational. 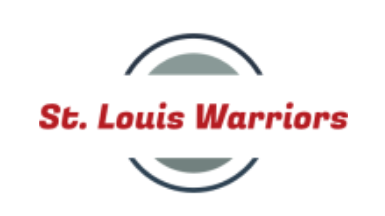 The 2017-2018 version of the St. Louis Warriors will kick off their season next month with the first practice tentatively scheduled for Saturday November 18th at the Clayton High School Track. At least fifteen veterans will return from a team that set records in the men’s 4 x 800 and 4 x 400 as well as several individual events. Our schedule is still in process but will feature meets at Arkansas, Vanderbilt and Mizzou as well one or two additional local meets. New athletes have already started to apply including several outstanding sprinters and distance runners. We will continue to accept new applications for the next several weeks but we urge athletes to start the application process as soon as possible. Click on the application section above to start the process or contact Coach Johnson at 314-306-6807.